Mr, Pershukov also stated that «The design cost-estimate documentation for the reactor is finished; it has been approved by the state expert review. Project documentation is being prepared. Long-lead item procurement issues are being examined and resolved. 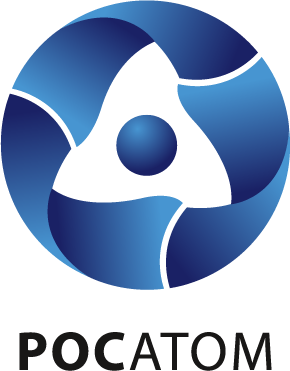 Construction work on the BREST reactor will begin not earlier than next year (after acquiring the Rostechnadzor license – press note) ». He added that construction schedule for the reprocessing module is tied to the overall BREST-OD-300 building schedule. Vyacheslav Pershukov also stated that the federal target program «Next generation nuclear power technologies from 2018 and up to 2035» or FTP-2 is in the process of being defined. The current FTP covers the 2010-2015 and up to 2020 timeframe. The Project «Proryv »Leader reviewed the overall objective of the pilot-demonstration project that is being developed in Seversk: «The PDEC facility has a greater purpose than providing 300 MWt of power – it’s not large scale power. The complex must have a thorough scientific agenda for testing out the technologies intended for industrial use». That is why within the FTP-2 program significant funds have been allocated specifically on experimentation and research. Representatives for ROSATOM, TVEL, SChK, Tomsk city government, ITCP «Proryv», general contractors and industry and project institutes took in the PDEC construction project headquarters briefing. As part of an established tradition the briefing participants visited the PDEC site. Issues regarding the fabrication/refabrication module (FRM) assembly and installation operations were discussed. Procurement schedules for MFR equipment and the BREST-OD-300 reactor were also revised, along with non-standardized MFR equipment manufacturing details. The ROSATOM State Atomic Energy Corporation is undertaking an ambitious project at the SChK site under the «Proryv» project, which is dedicated to developing a new technological platform for the nuclear power industry with a closed nuclear fuel cycle and resolving the spent nuclear fuel and radwaste problems. Successfully completing the project would result in a competitive product that would provide pioneering, industry-leading technologies to the global nuclear power sector.